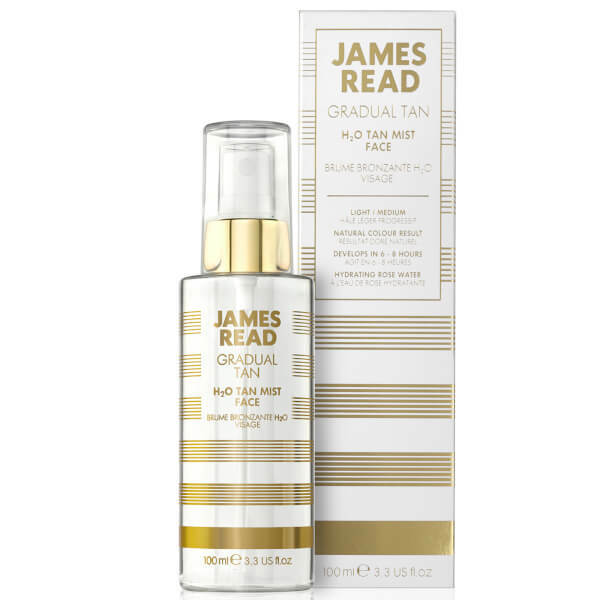 James Read presents the H2O Tan Mist; a lightweight, cooling spray to revitalise and refresh, whilst delivering a natural-looking glow to all skin tones. Infused with Pure Rose Water, the tanning mist provides anti-ageing benefits, whilst vitamins and minerals hydrate, restore and rejuvenate skin. Fast-drying and easy-to-use, you can control your depth of colour and build a gradual tan that intensifies with each application. 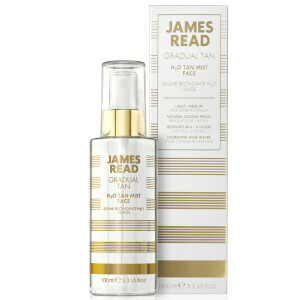 Its colourless formula can be used under or over make-up for enhanced radiance. 1. Ensure skin is clean and dry. 2. Hold the nozzle 15cm from the face, then spray evenly in a fast spritzing motion. 3. Allow a minute or two to dry before applying your make-up.